Sarana is Chishi Diné (Chiricahua Apache) from Big Mountain, Arizona, which is near the Peabody Coal mine and the Hopi Mesas. Prior to working at the Trust, Sarana served as a school board member on the Navajo Nation. She currently works with Save the Confluence, a group of families that oppose the proposed Escalade development, and assists the families of the east rim of the Grand Canyon. 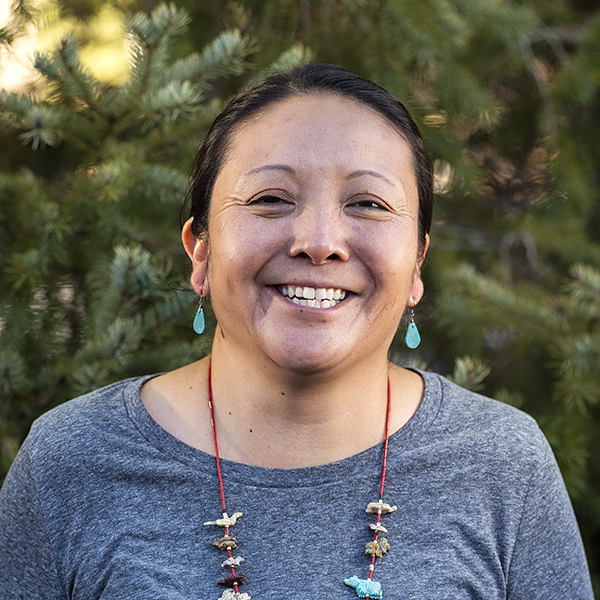 Through her involvement with various grassroots organizations, Sarana has a deep working knowledge of environmental issues on the Navajo and Hopi reservations, ranging from uranium and coal to water rights. "Listen and learn from your elders." As Grand Canyon National Park turns 100, Native knowledge and culture needs to be more involved in the next 100 years of park management. I feel the frustration and impact uranium has caused to our nation, where we feel that nothing has been done to clean up these mines or take away the pain. Save the Confluence has emerged to protect the canyon from threats like the Grand Canyon Escalade.